Brighter, airier: That describes the Booksellers at Laurelwood after its recent makeover, which introduced a variety of welcoming colors on the walls, fresh carpeting throughout, some rearrangement of departments, and a handsome reworking (and renaming) of the book store's popular restaurant, which is now the Booksellers Bistro. The children's section has a roomier look to it too, with young-adult titles given separate space. What hasn't changed: the store's knowledgeable staff and level of service, which owner Neil van Uum sees as key components to the company's staying power. County mayor Mark Luttrell sees the "new" Booksellers at Laurelwood as a commitment to local commerce. He'll be on-hand to help cut the ribbon at the book store's "reopening" on Wednesday, December 14th, at 4 p.m. You're invited. The anthology Art from Art: A Collection of Stories Inspired by Art (Modernist Press), published this past summer, features McGowan's story "An Ephemeral Exertion." McGowan's nonfiction pieces "Beetle" and "Owl" were up for Pushcart Prizes last December (with nominations made by the journal River Teeth and Thumbnail Magazine, where McGowan is a consulting editor). 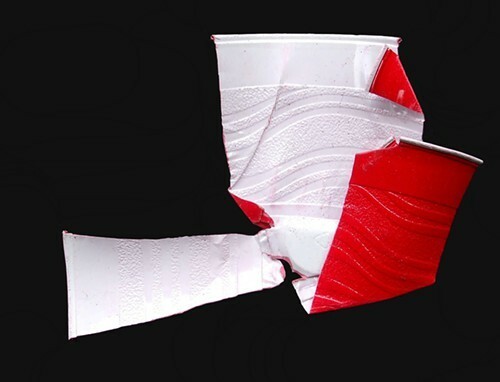 And dotdotdash, the Australian literary and art journal, has published several examples of McGowan's artwork, including his 1986 photographs of pre-revitalization South Main Street in Memphis, in addition to images drawn from his series "Under Overpasses," "Spills," and "Crushed Plastic Cups." If you missed meeting photographer, architect, set designer, historic preservationist, and fourth-generation Delta daughter Nell Dickerson when Gone (BelleBooks) appeared this past spring, you've got another chance. The Read in Peace book club, which meets in Memphis' Historic Elmwood Cemetery, is hosting Dickerson on Saturday, December 3rd, at noon inside the cemetery's chapel (824 S. Dudley). Dickerson will be on hand to discuss not only her book but the preservationist cause behind it: rescuing what remains architecturally of the antebellum South. It was a cause that Dickerson shared with her relative through marriage, novelist and Civil War historian Shelby Foote. 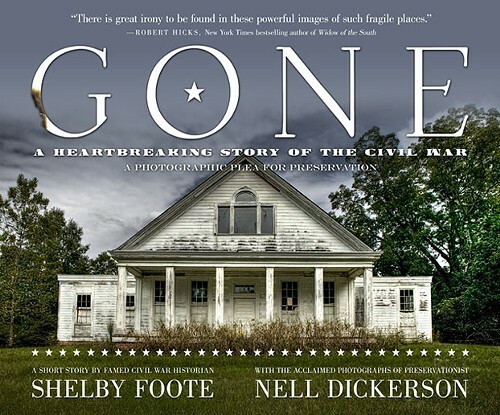 Gone, which will be available for purchase at Elmwood and for Dickerson to sign, reprints a chapter from Foote's novel Jordan County, and it features Dickerson's own sensitive photography, which pictures mansions and humble homesteads, civic buildings and the land itself. It's beautifully done. Cost to attend the event is $12 person, which includes lunch. Register at elmwoodcemetery.org/events or call 901-774-3212.